Are you an artist, builder or inventor who needs to cut complicated shapes from metal? and translate that information directly into computer controlled motions which allows us to cut exact patterns out of any metal with plasma. Plasma cutting works on the principle of a super hot (~4500°F) arc of electricity blown through a tiny hole with a compressed gas. you can cut nearly any shape you can imagine, from detailed artwork, to technically precise mechanical parts. Our machine will cut between 10-200 inches per minute, depending on material thickness, with up 80 amps of power, with less than a 1/16" kerf. We accept nearly all formats of CAD drawings, or if you cannot draw, we can create your shape, for you, for your approval. We also can take .jpg and .bmp graphics and convert them to line art, for amazing artistic products made from metal. We utilize a commercially manufactured CNC table and computer with two different plasma torch units, one 27 amps and the other 80amps. The smaller unit will cut 1/8" aluminum and +3/8" steel. The larger unit will cut 3/8" aluminum and +1" steel. Softer metals do not cut as cleanly. There will be some 'dross' on the far side of the cut, but with aluminum, it can be pushed off cleanly with just a finger. The near side of the cut will be very excellent, comparable to laser or waterjet quality. Smaller holes are better cut slightly undersized and reamed with the appropriate sized drill bit, which takes little time, since the 'pilot' is in place and only a little material is removed in the operation. 3/8" holes and above generally do not require cleanup. And plasma cutting is much more affordable than water jet or laser cutting, with close to the same quality..
decisions and make sure your design is a success! making your ideas very easy to visualize and sell. All edge paths and holes are accurately centered to 0.005". accomplished with the 'bar' method or by stencils. See below. When using heat to cut, there is a narrow area on each side of the cut called the 'heat affected zone' (HAZ). Because of the power and speed of our machine, each part will have a very narrow HAZ. In aluminum, it is nearly non-existent because the heat is dissipated so quickly. Steel and stainless steel must be cut more slowly, but the HAZ is minimal in these materials as well. Thicker materials (>1/4") will have a wider HAZ. When cutting text, there are several considerations, not the least of these being deciding on which font to use. We have literally thousands of fonts for you to choose from, and our publishing experience can help guide your decision. 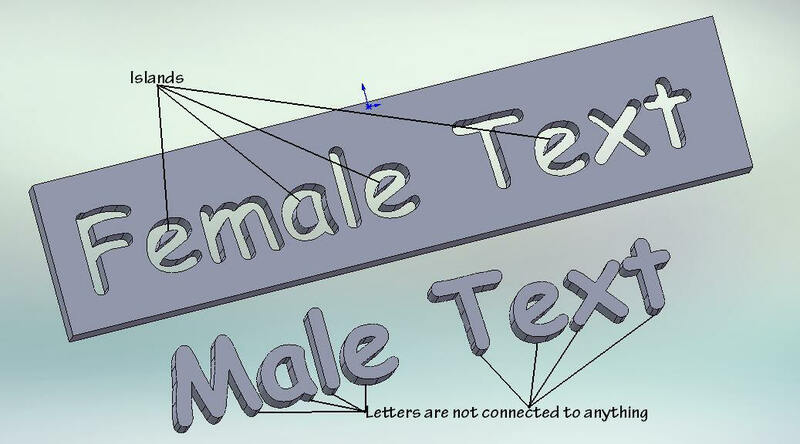 When placing text, there are two types of text: Female text is where the character is cut out and only the outline remains. 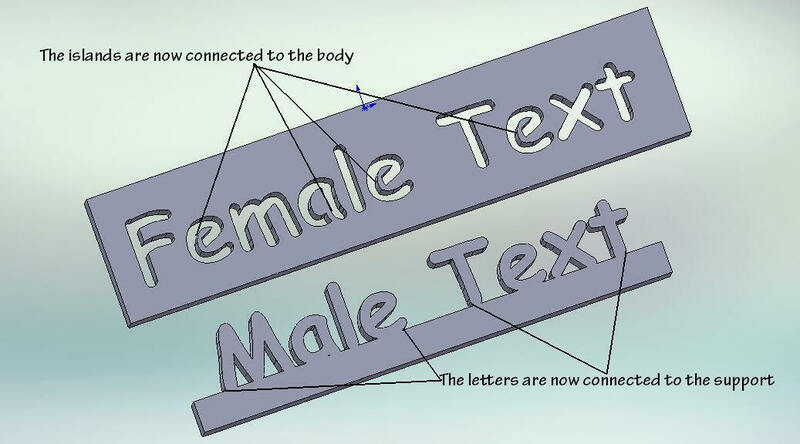 Male text are characters where only the body of the letter remains. Female text must have the 'islands' connected somehow, or they will 'fall out'. An example of an island, is the center of an 'O', which is a 'male' component, but without a 'connector', the center of the 'O' will fall out. These same principles apply to artwork as well. Each component must be supported. We have the experience to make your art project a success. One last item to discuss is 'pierces'. 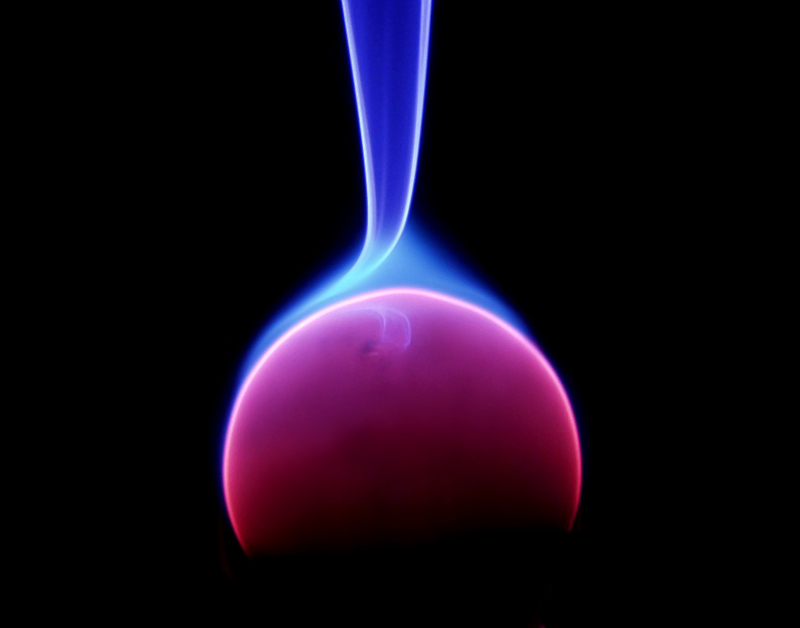 When the plasma arc initiates, it tends to blow molten metal out of the 'hole' and make a larger hole (pierce point) than when the cut is moving. Because of this, it is necessary to start cuts off to the side of path to be cut. This way, when the cut point moves to the outline path, it is cutting a clean, narrow slice through the metal. The result of this, is that there will be a 'messy' place where the initial arc starts, and a little section of about 1/8" 90° to the path in the part that is cut out and discarded.